I am in this movie! It opens today (March 27, 2015) in select cities throughout the country. 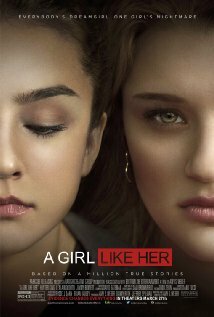 ‘A Girl Like Her’ sprang from personal experience. As both a victim and a bully, Amy S. Weber says she wanted to show every perspective in the film drawn from real life.